Rochelle S. Reynolds, CPA, is a Partner at Simone Macca & Larrow LLP. Her experience includes over 29 years of conducting, supervising, and reviewing tax and financial engagements throughout a wide variety of industries including: manufacturing, health care, and service organizations. Rochelle is a Certified Public Accountant licensed in the State of Connecticut. 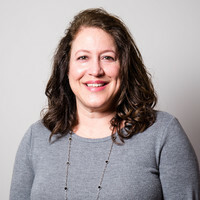 She is also a member of the American Institute of Certified Public Accountants and the Connecticut Society of Certified Public Accountants. Rochelle received her Bachelor of Science Degree in Accounting from Providence College.